Dan Hardy criticizes Herb Dean for his stoppage during a UFC Moscow bout. In the featured preliminary bout on the UFC Moscow card, Khalid Murtazaliev went one-on-one with C.B. Dollaway. Murtazaliev was dominant in the fight and things looked to be coming to an end in the second round. With Dollaway belly down and taking shots on the ground, referee Herb Dean allowed the fight to continue for longer than many were comfortable seeing, even the crowd in Moscow. The bout was finally stopped before the third round could begin. 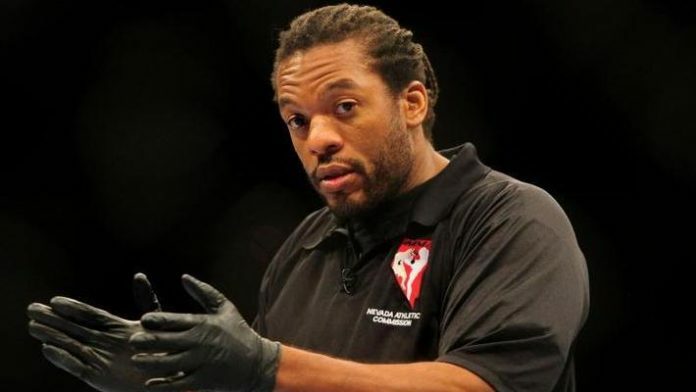 Do you think Herb Dean stopped the fight too late?